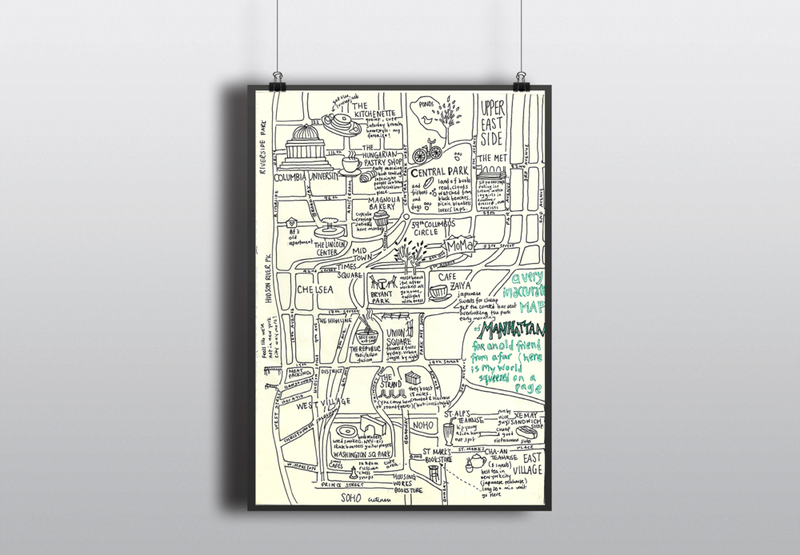 Wandermaps is a hand-illustrated maps project capturing places through your eyes and experiences. It's a visual representation of personal narratives of place and time. My map of NYC looks different now than it does four years ago. The mission behind the project is being fully present and attentive to a place, and mindful of our relationship to it. My inspiration for this project came from a close friend, who made me my first map of Durham, North Carolina. I launched the website and started making my own maps summer of 2012. I usually make these maps while I'm no longer in the city I'm mapping. I start by brainstorming, jotting down the different places in that city that mean something to me, big or small. I might look through my notes, my photos, my journals-- anything that can trigger something . After I have a comprehensive list, I might pare it down, or I might keep everything. My next step is mapping it on Google Maps. I do a lot of sketching and erasing and squeezing things in. I've only made maps on a 8.5 x 11 sheet of paper, but they still take a long time. I don't think too much about what I want it to look like; I just try to fit it all in. This is adding your signature to these locations - I like writing little marginalia notes about what makes a place special, or creating a map legend. My goal is to make many more maps to come, and create a more refined process for mapmaking!